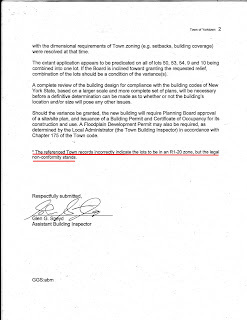 The DOB memo written by and based on an inspection conducted by Glen G. Sneyd of the Yorktown Building Department (see below) indicates there is a church structure and two single family homes on the subject premises. 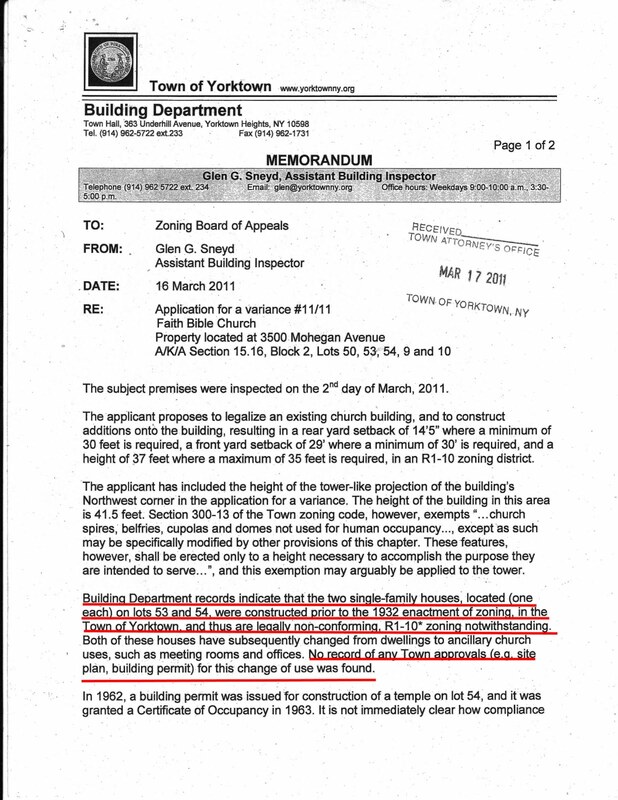 That is much different from the The Zoning Board of Appeals application that indicates "three church structures." 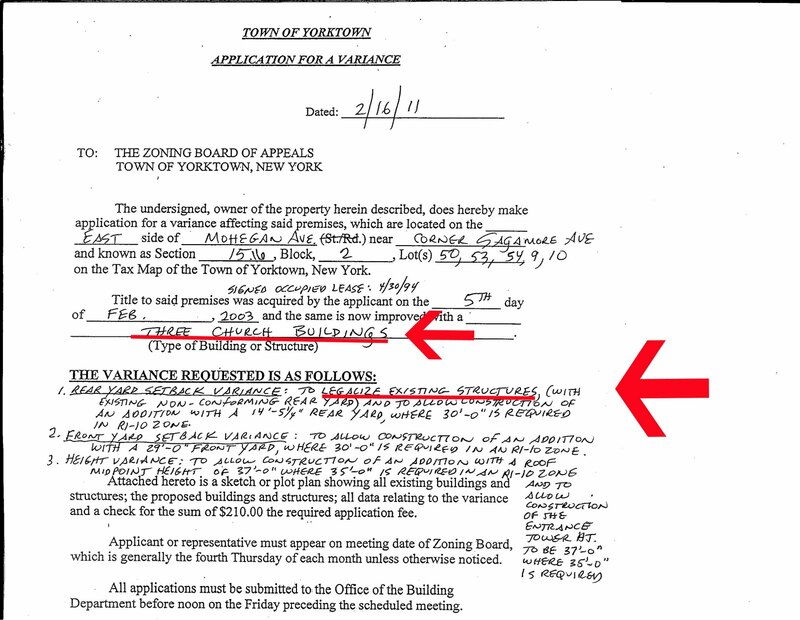 Click on the images, below, to enlarge. If the Yorktown Building records still classify the buildings as single family homes, not "church structures," are they still on the tax rolls? 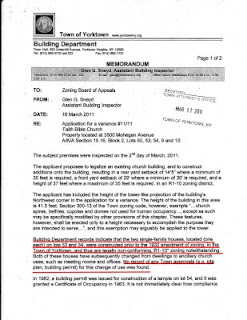 If not, is the DOB concerned about the illegal conversion of such structures, or do we turn a blind eye to such illegal activity? 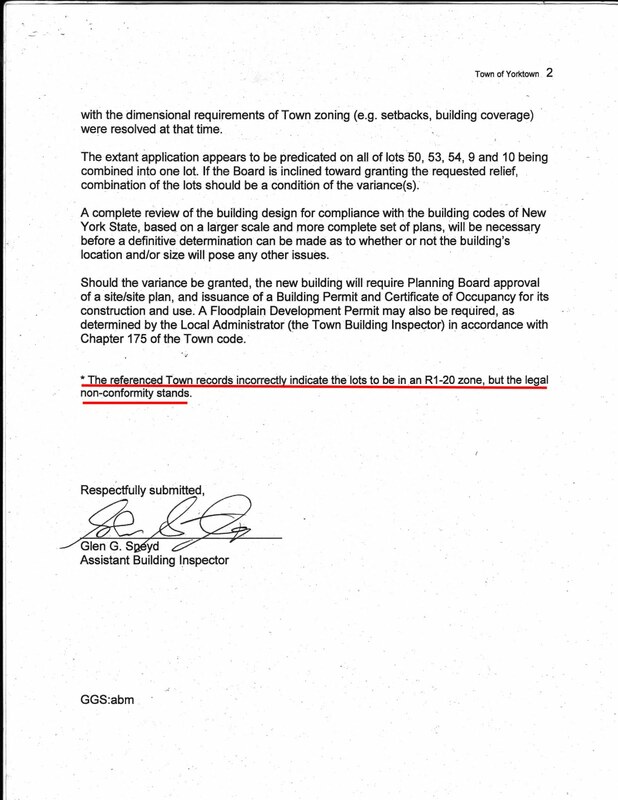 Labels: Bush League, Misrepresentation, Prestidigitation, What Is the Building Department's position on the illegal conversion of 2 single family homes?